PYEONGCHANG, South Korea – Brian Gionta is on a mission. He won a Stanley Cup with the New Jersey Devils in 2002 and captained the fabled Montreal Canadiens and Buffalo Sabres in an NHL career that included 1,006 regular-season games. 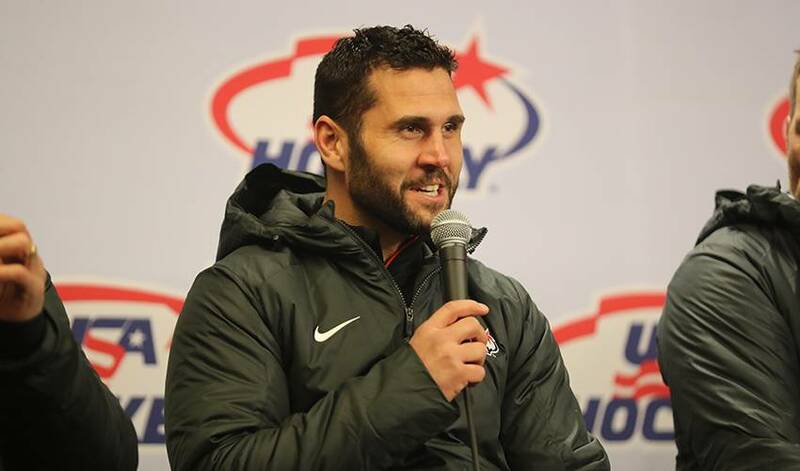 Twelve years ago Gionta was part of the U.S. Olympic Team that finished eighth in the 2006 Winter Olympics in Turin, losing to Finland in the quarterfinals. Now he is taking part in his second Olympics – and he wants nothing more to mine gold at PyeongChang 2018. Gionta stepped away from the NHL last year after culminating 15 seasons with the Devils, Canadiens, and Sabres. He could have kept going – he had offers – but decided against forcing his family to move from Buffalo for what would have been ultimately a utility role. His playing days were far from over, however. As it became clearer and clearer that the NHL would refuse to send the game’s top players to the Olympics, Gionta made it a mission to be ready, willing and able to answer the call if USA Hockey wanted his services. He started skating with the Rochester Americans of the AHL. "I am extremely excited. It is an opportunity I am looking forward to, especially at my age. I will be able to let in soak in a bit more. I appreciate what the Games have to offer. It does not matter whether you are 18 or 39; to have this opportunity is pretty special. I am excited. Any chance you get to represent your country you jump at it." Gionta is the senior statesman on the USA Olympic team and he is also wearing the ‘C’ on his jersey. He is the only member of Team USA with Olympic experience. His 39 years also rank him as the third-oldest skater in American Olympic hockey history, behind Chris Chelios (twice) – who is coincidentally still representing Team USA at PyeongChang 2018 as an assistant coach. Gionta’s teammates aren’t calling him Grandpa in the dressing room, but they have made a few jokes about how nearly two nearly two decades ago when he was still playing at Boston College, one of his teammates was Ted Donato – whose son Ryan is Gionta’s teammate. ‘’For sure it is weird but it is fun. You know when that comes around you are getting up there in years,’’ said Gionta. “But the young guys keep you youthful. Being in the room and around them gives you energy. I do not care how old you are, when you are in that room we are one group and one team." His knowledge of the game on and off the ice will be invaluable considering the age gap of the players and the pressures of representing the USA. “I am a guy who tries to lead by example and go out there and do whatever is asked of the team – and hold guys accountable to that standard. I think what is different [in the Olympic Games compared to the NHL] is in the short term you have to find ways to come together as a team quicker. You do not have the luxury of being together for nine months [like NHL teams]. You have to accelerate that process in the first few days you are together so you are hitting the games as a group. For the first time since 1994, the Olympic Games will be missing participation from world’s top players after the NHL declined participating, a decision the NHLPA said at the time was shortsighted. But what the tournament may lack in star power, should in part be made up for with excitement of the unknown. The race for medals is wide open, with no clear favorites – not even three-time defending champions Team Canada – to win gold. Gionta hopes the Olympics are not his swan song to the game he loves. He’d like to return to the NHL, but the focus right now is leading Team USA. That said, Gionta was off in his pursuit of Olympic gold.